I'm not the son you want, Dad. I can only let you down. Rory's dad is obsessed by Bob Dylan - nothing else matters, not a job, not money, not even Rory. When his two best mates hook up with his dad to release a music download, it goes totally viral. 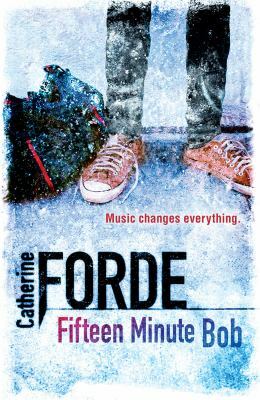 Rory's life is turned upside down - suddenly he is cool at school, in demand with girls, and worth his father's notice. But there's a price to pay for money and fame. As it affects every part of his life, Rory tries to keep his family together, while they all pull apart. Maybe Dylan was right after all. 'Behind every beautiful thing, there's been some kind of pain'. Featherstone. She has been concentrating on playwriting since then : Chamber of Nothing (Pearson) for schools, and The Sunday Lesson and Supply for Glasgow Oran Mor's A Play, A Pie, A Pint. She has written two touring pantomimes and in 2013, adapted her novel The Drowning Pond as a musical for Youth Music Theatre UK. A radio play, Baby's Coming Back was produced by BBC Radio Scotland in 2013.Cathy is on commission to National Theatre of Scotland, adapting Fat Boy Swim for the stage.Cathy was the Scottish Book Trust virtual writer-ï¿½#8208;in-ï¿½#8208;residence 2010-ï¿½#8208;11 and 2011-ï¿½#8208;12 and is an experienced creative writing and drama tutor.She lives in Glasgow.